Love Your Condo & Your View! 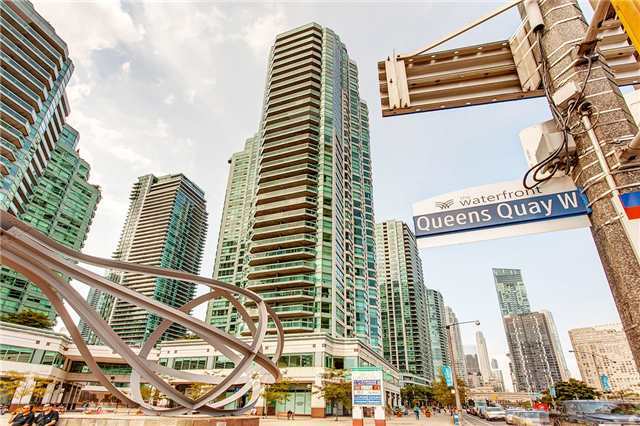 Incredible Opportunity To Own On Toronto's Waterfront At The Residences Of The World Trade Centre. Spacious 930+Sqft Open Concept 1+1 Large Bedroom W/Ensuite, W/I Closet W/O To Balcony Plus Enclosed Den W/Closet Boasts Beautiful Laminate Floors! Huge Kitchen With Window, Appliances, Ample Counters, Brkfst Bar Plus Walk-In Pantry/Laundry Conveniently Tucked Away W/ W&D. Fabulous Downtown Living Unsurpassed Amenities, See The Video! Parking, Fridge,Stove,Dishwasher, W&D, Elf's, Window Coverings. 2 Pools, 2 Bbq Areas, Guest Suites, Party Rms, 38th Flr Skylounge, Yoga/Dance Studio, Massive Fitness Centre, Whirlpool, Squash, Billiards, Hobby Room Golf Sim & Kids Playroom! Want to learn more about 1113-10 Yonge St (Yonge & Queens Quay)? I would like to learn more about 1113-10 Yonge St (Yonge & Queens Quay).